No, I don't think the HeadElf runs polls. Maybe you can PM a couple FT'ers you "know" and ask for suggestions. Send along the info you've got and maybe somebody will be inspired. I had never heard of them, but yum!! According to tracking, my gift arrived at my Santee’s house this morning! 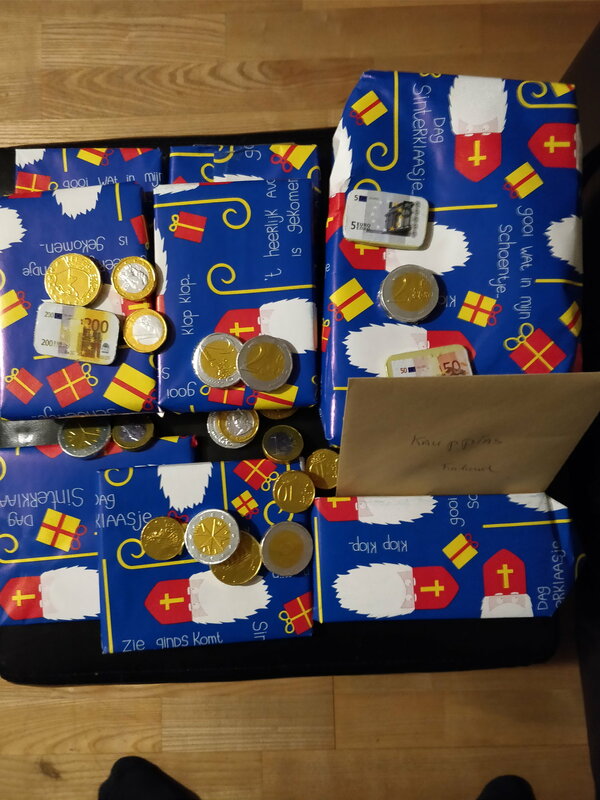 I hope they like it!! A package arrived from Penzey's today and it smelled wonderful! I haven't ordered anything from them recently so I suspected that it was a Secret Santa gift and had set it aside. However, I was coincidentally in the middle of a spice blending project so my mum thought it was part of my supplies and opened the shipping box! Inside was another box with an assortment of spices and seasonings along with vanilla essence and a few colourful magnetic bumper stickers, a pin and a lovely note from onetess. Not only is the sentiment "Love people. 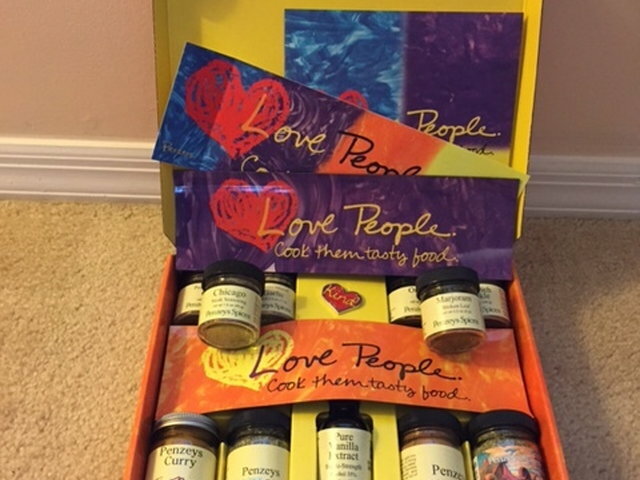 Cook them tasty food" exactly what I was doing when the box arrived on my doorstep, spice-blending is something I do every year for friends and family with dietary restrictions. I can't wait to sample these over the next few weeks. Thank you onetess! Merry Christmas! A package arrived from Penzey's today and it smelled wonderful! I haven't ordered anything from them recently so I suspected that it was a Secret Santa gift and had set it aside. However, I was coincidentally in the middle of a spice blending project so my mum thought it was part of my supplies and opened the shipping box! So glad you liked it!! Penzeys is right near where I live and when I read your information they immediately came to mind. I love all they stand for. Have a wonderful holiday!! I see all the pretty gifts wrapped, and I feel bad. I didn't have the one I sent wrapped. Since I sent it direct, it will get there a week earlier than if I sent it to myself, wrapped it and sent it out again. Maybe the speed will make up for the lack of festiveness. There will be another package going out so I will make it extra fancy. I do hope people are taking care of buying and shipping their gifts.... I have a lot of empty spaces in my spreadsheet! Reminder... when you ship or receive a gift... you have to send me a PM with details on what the gift was and any tracking information. Finally, I have one final assignment to do tomorrow. I could use a few more Santas.... so let me know if you want another assignment. One would be international.